Seven years ago, a group of biomedical engineers from the University of Michigan, collaborating with researchers from GE Healthcare, published a pioneering paper on a prototype dual-modality system for imaging the breast. It consisted of a digital breast tomosynthesis device with a hand-held ultrasound probe mounted onto the compression paddle. While their limited clinical trial of 10 subjects demonstrated the great potential of dual-modality imaging, and they recently extended their analysis to a clinical trial of 51 patients with biopsy-proven masses, their system remains very much a prototype: the images are acquired sequentially and the breast is under compression for “several minutes”. 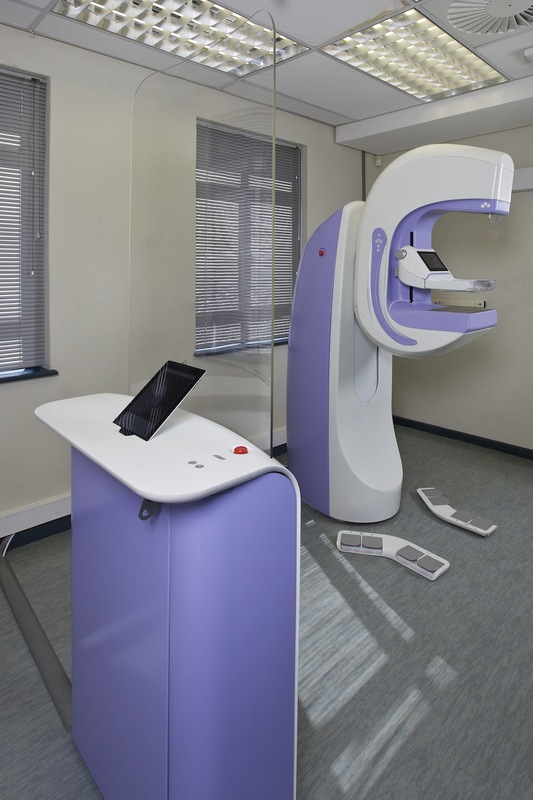 In contrast, our Aceso system enables automated breast ultrasound (ABUS) and full-field digital mammography (FFDM) images to be gathered simultaneously, and the breast is under compression for just 25 seconds. In fact, we are able to gather four sets of images – cranio-caudal (CC) and mediolateral-oblique (MLO) views of the left and right breasts – in just 10 minutes, which is ideal for a screening environment. As previously stated, April 2014 has been a significant month for CapeRay, with the study of 51 healthy volunteers as well as 6 patients, 5 with confirmed breast cancer who were referred by clinicians at Groote Schuur Hospital. Our final patient is scheduled for Monday 5 May. While Aceso may be considered a prototype, it is actually a pre-production system that not only functions well, but also looks extremely polished. During the trial we engaged the services of a professional photographer, Sally Wellbeloved, who captured photos of Aceso being put through its paces by our mammographer, Nafeesah Karriem (click on photos at right to view in higher resolution). Nafeesah, who works in the MRC/UCT Medical Imaging Research Unit, has a bachelor’s degree in radiography and a certificate in mammography, both earned from the Cape Peninsula University of Technology. The dual-modality images Nafeesah has been gathering are saved in the ubiquitous DICOM format. While there are many software tools to view DICOM files, we have been utilizing two packages created by researchers at the National Institutes of Health in Bethesda, Maryland that are freely available. 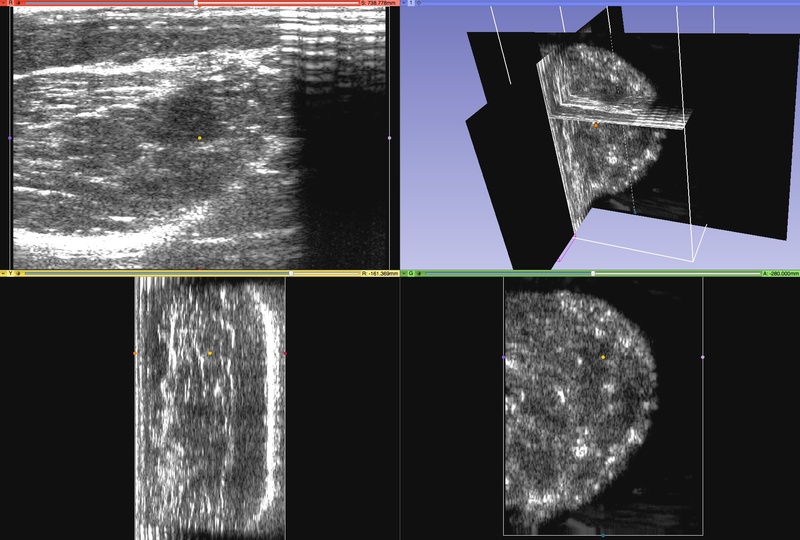 We used Image J to produce the first images three weeks ago, and more recently we have employed 3D Slicer to study our ABUS files (click on image at left). We now move to the next crucial step in our trial – evaluation of the diagnostic equivalence of all Aceso’s images by our clinical experts. The journey continues.